“I was 25 at the time and I’d never written a sponsorship proposal in my life, but it worked and Jameson said they’d give us some cash,” Hall says. 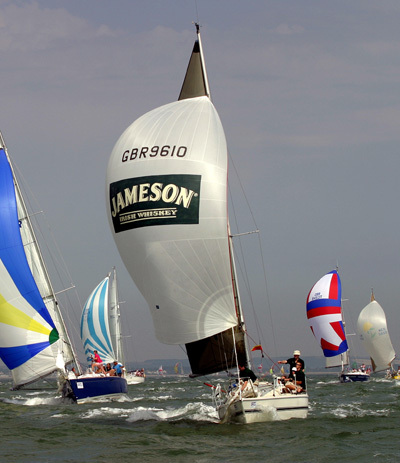 The pinnacle achievement under the Jameson Sponsorship was winning Cowes Week in the UK in 2003, the world's largest yachting regatta. They were also unbeaten in the offshore championships that year. Hall then raced in Australia for three years (2005 - 2008) in a variety of events on the harbour and the coast around Sydney on a seperate boat that Jameson sponsored, winning a few trophies and holding celebrations along the way fuelled with the brand's whiskey. From sailing to starting The Hallway, Jameson played a key factor. In 2007, five years after Hall moved to Australia, Jameson's parent company Pernod Ricard was looking for a new creative agency. At the same time, GM Hall was looking to exit full service digital agency, NetX, to start his own agency. “The brand manager of Pernod Ricard said to me, 'You know our brand better than anyone else' and one week later I got a letter that said I had a one-year trial for the company,” Hall says. NetX, which at the time was one of Australia’s largest digital agencies, had just been acquired by BBDO and having grown the team from 26 to 60 employees, he felt it was the right time to move on. “If I look back at the advertising world of the time, what we used to call above the line agencies were buying digital shops and bolting on the capabilities. There was no integration and it didn’t really work,” Hall says. An entrepreneur from a young age, Hall always pictured running his own venture and wasn’t worried he was doing it without any partners. He started his first business during university, Jules Hall Productions, selling T-shirts across the UK. “On day one in my borrowed office space it was just me. WIPs (work in progress meetings) were a quiet affair,” he jokes, reflecting on his first day of The Hallway. Hall admits he had “some good breaks” in the early days, winning Merivale shortly after the agency launched. In its first 12 months the agency also picked up online travel agency Zuji, which still remains a client. 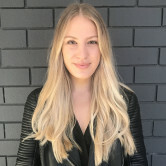 Despite picking up a Gold Lion at Cannes Lions for its first campaign for Zuji in its first 12 months, Hall says winning NSW Agency of the Year at the B&T Awards last year led to the most new business enquiries. “That made me cynical about award shows,” he says, adding the Cannes Lion win didn't have any impact on The Hallway. Now celebrating its 10th year, Hall says the agency has undergone significant transformation. “When I started the agency it had no creative department. Since 2010, when Simon Lee joined, we’ve really cemented the creative capabilities in the team,” he says. Lee joined as a joint partner of the Hallway and has been an equity owner in the agency since 2010. 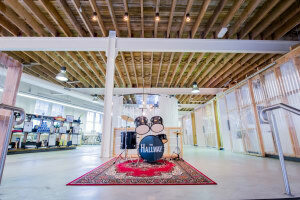 Hall says he’s never seen advertising as the only solution for client problems and that’s what he considers makes the The Hallway stand out in the Australian market. “Nine out of 10 client problems are associated with growth and our solution doesn’t always manifest itself in an ad. Therefore it’s not visible in the industry and I’m fine with that,” he says, commenting on why The Hallway’s work isn’t always showcased at award shows or in the trade press. Back in 2007, many big holding groups were buying digital shops, which Hall parallels to the trend of consultancies buying agencies. “When we launched we were so ahead of our competitors in the way we were thinking. Has the industry caught up? I’m not sure it has,” he says, adding he considers very few agencies competitors. Having started his career at Accenture, Hall believes the combined force of left and right brain thinkers is a good move for both consultancies and agencies. “The ideas creative agencies have traditionally put in front of clients were based on an enormous amount of gut feel and marketers aren’t prepared to tolerate that anymore,” Hall says. The Hallway now works for some of the biggest brands in Australia including Google, Qantas, ANZ, Bupa and Fairfax Media – to name a few. It recently announced it would be opening a Melbourne office after picking up ANZ Bank Cards. Despite a strong client list and a slate of accolades, Hall says the agency is “just scratching the surface”. “We are 45 people today and we want to be working with Australia’s most significant brands, which requires scale. We aren’t easing up and we have our foot to the floor at full pace," he says. Three years ago the agency explored the possibility of opening an office in China. It concluded it would be too hard to manage the two time zones but Hall says as The Hallway grows, the region is “incredibly intriguing”. This year two of the biggest independents, The Monkeys and The Works, have been snapped up by consultancies. Speculation is rife which will be the next acquisition target of consultancies, with rumours swirling it could be The Hallway. Hall says he is less interested in selling and more interested in acquiring an agency. “There are a whole lot of companies that want to be acquired by us. They want in,” he says. Unlike the story of many other independents, the conception of The Hallway didn’t come from the desire to get out from underneath the constraints and pressures of a big holding company. Rather, it’s something that stemmed from founder Jules Hall’s love of sailing. Following a retirement from rowing, Hall, who went to Radley College in Oxfordshire and studied politics at Nottingham University, shifted his interest to sailing, which he says has all the competitiveness of rowing, but you get to face the direction you're going. "Offshore yacht racing required the same skills of endurance and stamina, but drinking beer was less of an issue! Looking back, it was rather an appropriate segue into the world of advertising," he tells AdNews.. In 2002, he entered the professional sailing scene in the UK, where Hall is originally from, crewing on some of the biggest yachts in the some of the world's most competitive races. It wasn’t long before Hall and two mates decided they wanted to go out on their own, which meant buying their own boat. “Buying the boat was only half of it. Once we had the boat we realised we needed sails and equipment and we had no money left,” Hall says. Hall approached his agency's first client, Jameson Whiskey, for sponsorship.